Mail theft. Either there’s been a real increase in the incidence of theft or we’re much more aware of it than in the past. We’ve been reading on Nextdoor about the many mailboxes broken into or mail scattered along the roads, particularly from this last Fall and through the Winter. 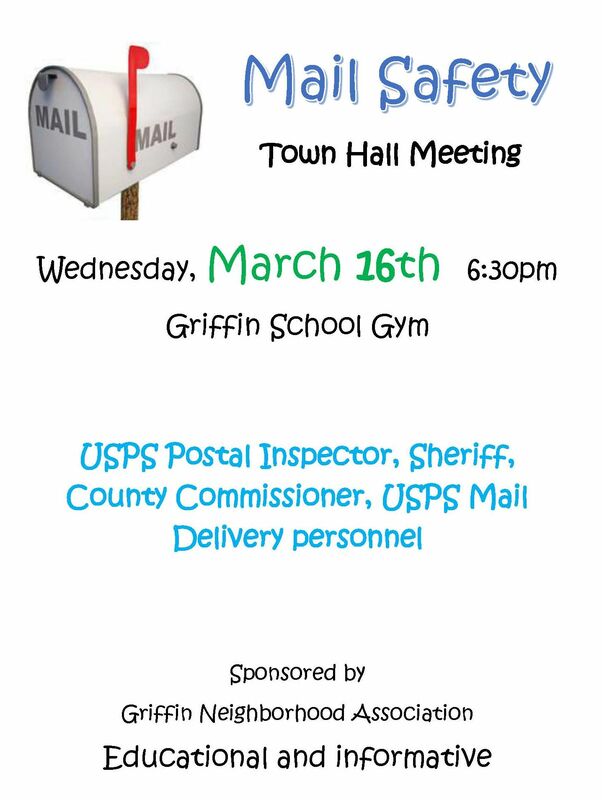 On Wednesday, March 16th the Griffin Neighborhood Association is hosting a special Town Hall meeting on the topic of Mail Safety. Invited guests are a representative from the USPS Postal Inspector, Thurston County Sheriff’s Department, local USPS Mail Delivery personnel, and County Commissioner Bud Blake. 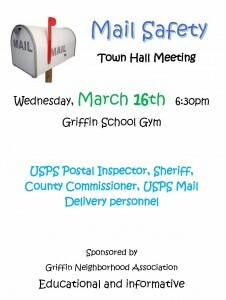 Hosted by the Griffin Neighborhood Association. Are you a member? If not, click here to join us.